Sydney completed her first level 2 swim class last week. This is where they stop classifying you by animals and start giving you numbers. Big stuff. 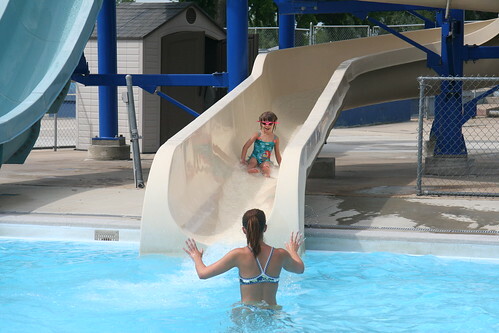 As a treat, the kids got to go down the big water slides for a finale!